Here's another card using the Hardwood background stamp from Stampin'Up. I must say there's so much possibility with this background stamp. When I was working on the hardwood frame card, this idea came to me. It turned out exactly what I had in mind. 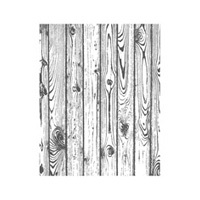 I stamped the Hardwood background stamp on a 5" x 4" baked brown sugar cardstock using chocolate chip ink. Then I cut the card stock into half inch strips. Then I draped the crumb cake seam binding ribbon across the cross. I added the flowers and leaves as an after thought. I used shimmery white card stock for the card base and the main panel. The panel was sponged with marina mist and island indigo inks and has nice shimmer in real life. 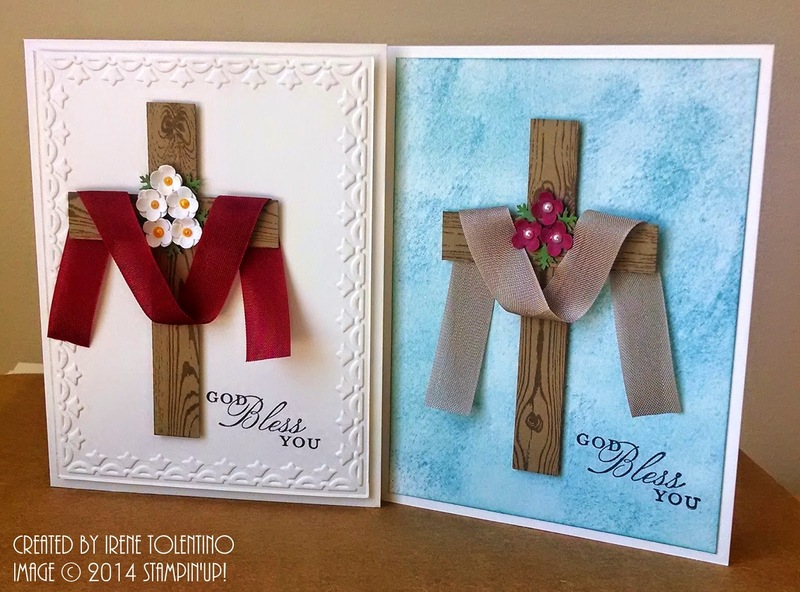 The sentiment from Stampin'Up's Trust in God was stamped with black StazOn ink. I thought it turned out really well I wanted to make another one but first, a little research on colors. I Googled the Confirmation color in Catholicism. Various websites told me it's red and/or white. So on to the next card. 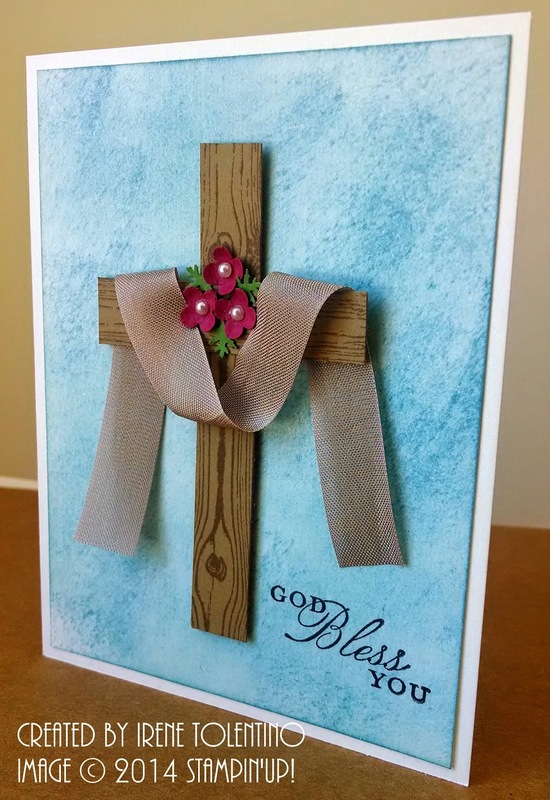 The left over strips of card stock from the first card were used to make this cross. The card base and panel were also shimmery white card stock. On this card, I dry embossed the panel using Stampin'Up's Framed Tulip Textured Impressions embossing folder. I don't have a red ribbon that would drape naturally like the first card, so I used the cherry cobbler seam binding ribbon. Not exactly red but close enough. The white flowers were too plain so I added the yellow viva pearl pen that I got from Joann's. Now they look like over easy eggs. LOL!! 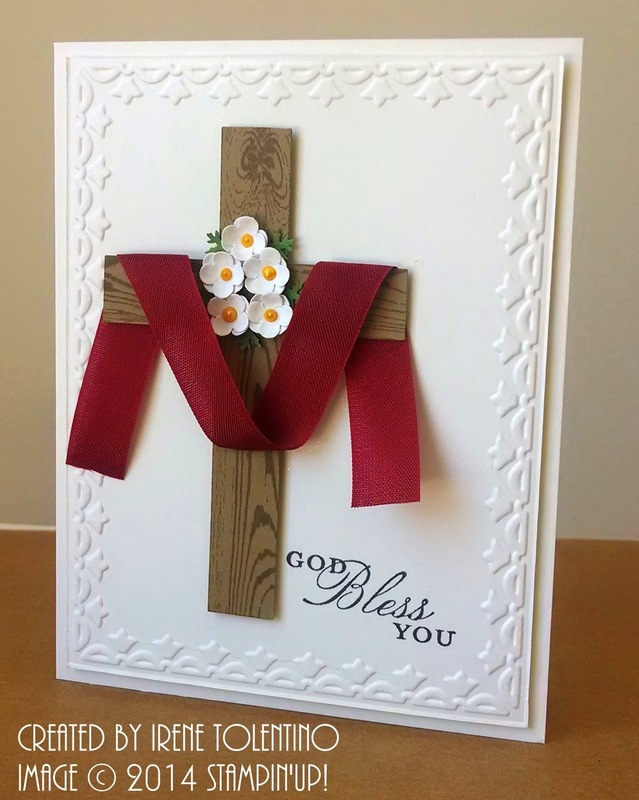 But I still like how the red and white worked really well with the "hardwood" cross. There they are side by side. Which one do you like best? My son's Confirmation is on the 26th and I'm quite pleased with myself that I got his cards done two weeks early. I'm usually a last minute kinda girl. Here are some of the supplies I used and you can find them all at my store HERE. Great card!! Exactly what I was looking for...............confirmation is on Sunday and I can whip this together in no time. Thanks for the inspiration!! !